Meet in the car park at Rhyd Ddu, Caernafon - Beddgelert Road, Ref 571528, A4085, to walk at 10.30 am. 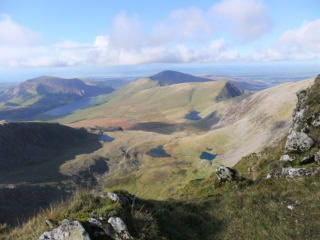 We will take the Rhyd Ddu Path to the South Ridge & descend via the Snowdon Ranger Path back to Rydd Ddu. Please let me know if you are walking.